North Tyneside & South Northumberland. We are the alternative to kennels in Newcastle upon Tyne, North Tyneside & South Northumberland. Hi, my name is Linda and I am very happy to bring the first branch of PetStay to the north east of England. PetStay are a national home boarding service that provide a loving and caring alternative to kennels for when you are away on holiday or business. I live in North Shields with my husband, Mel, our daughter, Andrea, and our much loved Weimaraner, Tess. We’ve had Tess since she was 8 weeks old and after many tears and tantrums she finally has us trained exactly the way she wants. Or at least that’s how it feels!!! I decided to set up a PetStay branch as I know that I could never put Tess into kennels when I am away, it would be far too traumatic and distressing for her. I know that many dog owners feel the same way and PetStay offers the perfect alternative – bespoke home boarding for family dogs. PetStay Newcastle upon Tyne, North Tyneside and South Northumberland covers the whole of Newcastle upon Tyne, North Tyneside and South Northumberland as far as Morpeth (postcodes up to and including NE65). We offer a home from home for your beloved dog or dogs, so that while you’re away, you can rest assured that your dog is being well cared for and is enjoying their own holiday. You can tailor make your dog’s stay with PetStay, meaning we can follow the routines you already have in place, including sleeping, feeding, exercise and anything else that your dog needs. As your dog will be staying in one of our carer’s homes, they will get lots of love and attention and will be treated as one of the family, which is important for your dog and for your peace of mind. I have handpicked all of my carers, ensuring that I only employ the best. All carers are personally checked by me, comply with the latest regulations as set by DEFRA and are fully insured, Without exception, they are all experienced dog owners and they all love dogs! Some of my carers have their own friendly dog, some do not, but will have owned dogs in the past. You can choose whether to board your dog alone or with a carer who already has a dog. A meeting would be set up to give you and your dog the opportunity to meet the carer and see your dog’s holiday home beforehand. We never board dogs from different families together, so the only dogs in the home would be your own and the carer’s dog, if you have chosen to board with a dog owning carer. Before you chose to home board with PetStay, I will take great care to get to know you and your dog(s), taking full details of your dog(s) so that I can match them with the perfect carer. I will guide you through the booking process and a “holiday list” will be provided of essential items that will need to be packed to make sure your dog(s) have their favourite things with them. So if you would like to book a doggie holiday with us or find out more about our service, please get in touch on the numbers or email below. I look forward to hearing from you and providing the very best home boarding that Newcastle upon Tyne, North Tyneside and South Northumberland have to offer. If you would like to become a carer, I’d love to hear from you. All that is necessary is that you have experience in looking after dogs, are at home during the day, have no young children and have a secure garden. You could become part of the PetStay Team by caring for someone else’s family dog in your home. To find out more or to arrange a visit to one of our carers in the Newcastle upon Tyne, North Tyneside & South Northumberland area, please get in touch using the details below. Newcastle Upon Tyne, Bedlington, Blyth, Whitley Bay, Wallsend, North Shields, Morpeth, Choppington, Ashington & Cramlington. Why not avoid the stress your dog faces in kennels and give them an experience of a lifetime with a loving PetStay dog carer in Newcastle upon Tyne, North Tyneside & South Northumberland. Here at PetStay we have hand-picked all of our carers to ensure that your dog will have the best care possible whilst you’re away on holiday, whether it be for a weekend or two weeks. We are the largest dog sitting service in the Newcastle area. PetStay offer a first class alternative to dog kennels – so you can be rest assured that your dog will be left in loving hands. At PetStay Newcastle upon Tyne, North Tyneside & South Northumberland we are committed to providing a service vastly different from that of dog kennels. Your dog will remain with the same caring pet sitter for the whole duration you are away and they’ll receive the same treatment they would normally get at home… attention, feeding and walking times – ensuring that dog sitting in the Newcastle area is a far better experience than dog kennels. Over recent years PetStay have gained an excellent reputation for providing pets with a service second to none. We have become known as the local pet sitters in Newcastle and the surrounding areas. Our guidelines will ensure that your dog is left in the most trusted, loving hands possible and we are recommended across the Newcastle, North Tyneside & South Northumberland area, so if you would like peace of mind whilst you’re away on holiday give PetStay a call. If you love dogs and want to offer a temporary home for guest dogs that fits around your lifestyle then why not become one of our many dog carers for the PetStay Newcastle upon Tyne, North Tyneside & South Northumberland area. All you need is a passion for dogs, a secure garden and to be home during the day with no children under the age of 7. Please call Linda for a friendly and informal chat. You will receive a daily allowance starting from £12.50 per day. I have always struggled to find somewhere for Frankie to stay as he’s such a big softie who needs company. Louise was amazing with him and he was looked after like he was her own. I can not recommend Louise enough! After two terrible experiences with different kennels where my dogcame home ill with stress, we had just decided never to go on holiday abroad again and resigned ourselves to ten years plus of overpriced and underwhelming pet-friendly UK holidays. A work trip with nobody available to look after my ‘quirky’ Yorkie necessitated drastic action at short notice and a google search led me to Pet Stay. I was immediately put at ease by Linda who completely understood my dog’s funny little ways and told me she would try to find a suitable carer, without a dog of their own, who would be able to manage her. She pulled an absolute blinder with Sharon in Newcastle, who my dog (and I too) fell in love with straight away. I felt so at ease after our initial meeting and again, when I dropped my dog off with her when I left for my trip. My dog bounded up the path to Sharon’s house, straight in and made herself at home. Sharon let me know how they were doing while I was away and I slept through the night, both nights, whereas usually I’d be awake several times worrying and wondering whether my dog was cold or frightened. Sharon has been an absolute Godsend for all of us. I’m excited to book a summer holiday now – just need to check whether Sharon is free! Thank you so much PetStay! What an amazing service. Great for the dogs and great for the owners too!! We were absolutely delighted with Django’s stay with Claire; she is the second wonderful Petstay carer you have recommended to us who has given him a home from home while we have had a relaxing holiday . Anyone who is using kennels would be well advised to change to Petstay! We were away for nearly 3 weeks and Claire delighted us with her pictures and videos of Django’s adventures and cosy times at her home – he obviously had a great time with lots of walks and attention- he’s already booked in for his second stay in May. A*, 10/10 for Claire and your organisation and back up at Petstay. “Having used Petstay a few months ago, I did not hesitate in contacting them when we had arranged a short break away. The previous carers were not available so we were matched with new carers. Already familiar with the process, Nelson and I visited Louise and Paul prior to confirming the booking. They were very welcoming and keen to learn all about Nelson and his routines, habits, likes and dislikes – wanting to ensure that his stay was as “home from home” as possible. Nelson was very settled – and would have stayed there and then I’m sure! During his stay Louise kept in touch with updates and pictures of Nelson – he clearly had the most fabulous time, particularly enjoying his evening blanket snuggles. Louise and Paul met every minute detail of Nelson’s needs. I can certainly recommend Petstay, who provide peace of mind to the owner and a loving, caring, home from home experience for our beloved pets! “My family have always previously looked after Nelson, a 6 year old Chihuahua, however due to a change of circumstances, I found myself worrying about who would care for Nelson during a short break away for the New Year celebrations. Nelson has never stayed in kennels, something I am not comfortable with, so I quickly googled local pet care as an alternative. I was delighted when I found Petstay! After a few telephone conversations a visit was arranged with Ruth and Amy. On visiting, Ruth and Amy were very welcoming and friendly and Nelson quickly made himself at home! During the meeting, all Nelson’s needs were discussed, his likes and dislikes, in order to make his stay as “home from home” as possible – even down to his little idiosyncrasies! Nelson thoroughly enjoyed himself – Ruth and Amy kept in touch during his stay with texts and photographs and I felt that they really got to know Nelson’s little personality. A holiday card was waiting for me on our return, detailing some of the things Nelson had been up to during his stay. I felt extremely comfortable and relaxed whilst away, knowing that Nelson was in good hands. I would not hesitate to recommend Petstay Northeast – the service was excellent every step of the way. It was the first time leaving my dog Finn and I had heard about Pet Stay via a colleague as I was worried about options for boarding him. I cannot recommend the Pet Stay Service enough. It was easy to get in touch with Linda and explain Finn’s history and why he needed to be the only dog during his stay. Kerrie and her family, who Finn stayed with, treated him like their own and it was clear he developed a good bond with them. The communication via email throughout the process was amazing, providing information about paperwork needed and reminders about what he would need during his stay. I would not hesitate to recommend this service to anyone particularly those with dogs who would be better suited to staying in a home environment. I couldn’t recommend PetStay enough. I was really apprehensive about leaving my young Frenchie when going on holiday. However, the process from start to finish was outstanding. Linda was so helpful throughout the booking process, she was away on holiday herself but still replied to my queries promptly and reassured me throughout. We took Dembe to meet Gail the lady who would be looking after him, and she was so warm and welcoming. Dembe took a shine to her right away and I could tell he would be more than happy staying there while we were away. Gail listened to all of my advice in relation to Dembe and spoilt him rotten! He had a lovely time with her and her husband. When we got back to collect Dembe, Gail was genuinely emotional and so kind. My young daughter had been upset and worried about Dembe staying with another family but Gail spent time with her to let her know he was in safe hands. I would 100% recommend the service and use the company again for our next trip! Thank you again! First time I’ve left my pooch with someone other than family. I knew straight from my meeting with Julie she was perfect for Vanilla. Extremely professional and has a massive love for dogs, Vanilla absolutely loved her stay with Julie and John I can’t put into words how pleased I am. I received photos and videos every day to keep me updated and I honestly couldn’t have picked a better couple for Vanilla to stay with. I would 10000% recommend Petstay. I will be booking again for the near future. Thank you so much Linda for finding Vanilla the perfect holiday home from home and a massive thank you to Julie and John for everything, I came back to one very happy dog. Bonnie has just come back from a great week with Julie & John they were fantastic with her..!! I thoroughly recommend PetStay & look forward to using their services again in the very near future. We used Petstay for our little Lola a cockapoo puppy and was absolutely thrilled at the service, We have never left Lola before at all and was really worried about it but Claire her carer was fab! She kept in contact daily with us with pictures and videos and Lola looked like she was having a blast, It really put us at ease and we could all enjoy our holiday without the worry. I would definitely use Petstay again and highly recommend them to anyone looking for a home from home experience for their dog! “From the very first phone call to enquire about the service, to picking up Chase after his first stay, we felt very much at ease throughout the whole process. This was the first time we have used anyone outside of family to look after Chase while we were away, and Linda made everything so easy and kept in contact to ensure we were organised. Although Chase was thrilled to see us back from our holiday, I’m sure he was a little sad his holiday was coming to an end. We wouldn’t hesitate to use PetStay again to arrange Chase’s holiday stays! The excitement of going on holiday had initially been displaced with a fear of leaving my gorgeous Pug (Gizmo) for 2 whole weeks. Naturally, my fur baby takes priority, and I was mindful to find the very best options available to make sure he would be comfortable, safe, and well looked after. After conducting research, it was clear that PetStay had a perfect, personal and secure caring plan which is adapted based on your needs. Initial questioning were all focused on finding the most appropriate carer based on the needs of my puppy, followed by a face to face meeting, with a care giver in their home; to see how Gizmo would respond in their surroundings. I was so incredibly fortunate to be paired with Julie. Instantly felt relaxed, at ease, and overjoyed at how she engaged and made Gizmo feel calm. Julie was able to take the questioning to the next level, looking at routine and structures implanted, to ensure a transfer would be smooth. Leaving Julie’s house, I knew straight away that the match was perfect. After dropping Gizmo off, Julie was able to provide pictures, videos and status updates of how he was bedding in. Not surprising at all, Gizmo adapted straight in to his surroundings, with all of his favourite toys by his side. He made new friends, and had so much fun playing with Julie and her family. He looked happy, healthy, clean and content. Which made me feel so blissful and relaxed while I was away. I don’t have enough words to express how grateful I am. Leaving your puppy can be a stressful period, which was completely removed by the fantastic support implanted by Linda and her team of carers. Without a doubt I will be using this service (Specifically Julie) again. Healy happy pet on my return! Thank you Julie, you are amazing! Thank you Linda…. This is such a great service which I have already recommended to my friends and family. “I used PetStay for the first time in June and I am very happy I found them. Sheila looked after my labrador Bella and my French bulldog Louie and was fantastic, I was sent regular updates and videos whilst away and when I arrived to pick the dogs up the were so settled they didn’t want to leave, they had a great time and I wouldn’t hesitate to use Sheila again. Also the booking was made quite last minute so was grateful to Linda for finding a boarder. Skylar stayed with Julie & John for just under a week & she absolutely loved it! First ever time we did this….She had already had some visits & a day visit which I think helped settle her. Whilst we were away, Julie kept in touch with us & sent us photos! Skylar really settled in with Julie & John and they made us feel very much at ease. We would definitely like Julie & John to look after Skylar again when we go away and also recommend them very much! Thank you again for making the whole experience a one where we all felt settled & for Skylar to feel safe & cared for perfectly! “Just to let you know we’re back from Majorca and have picked up Bella from Jane. I think she had a nicer holiday than us. Really pleased with everything. I think Jane and Bella became quite fond of each other, bless them. Anyway just wanted to say thank you to you and Jane, it’s a great relief to us to know Bella is well looked after by fellow dog lovers. “Petstay offer a very professional service. I was initially very anxious about leaving Bertie when away on holiday but after contacting Linda I was soon reassured. Linda explained the process fully and ensured she had all the information needed to meet Bertie’s individual needs. She was so friendly throughout and put my mind at ease, understanding how I was feeling. Linda then matched Bertie up with Sheila one if her home boarders. We took Bertie for a visit prior to our holiday and Sheila was lovely- she asked lots of questions about Bertie and again we felt reassured. I cannot thank Sheila enough. When we were away she sent messages and photos of Bertie and it was obvious he was having a lovely time, he was very much part of Sheila’s family and he looked so happy! Bertie was so well cared for and so happy when we collected him – both Linda and Sheila had followed all of my requests and his normal routine was followed- I couldn’t ask for anything more and I would recommend Petstay to anyone who is considering home boarding for their dog. A big thank you from Gillian, John and little Bertie. Hoshi had a lovely week with Julie and John so much so that he didn’t seem to want to come home and I think they missed having him to. Julie and John spent time going through all Hoshi’s likes and dislikes so that he would be as comfortable as possible on his holiday. They allowed Hoshi to have a look round there lovely house, he especially liked their sofa and garden. I missed Hoshi whilst we were away but regular updates and photos from Julie showed me he was having a whale of a time. I can’t recommend PetStay and Julie and John enough and I am happy to book Hoshi in again for future stays. We are thrilled with the quality of care Lily our Northern Inuit received from the wonderful Claire and her daughter Alysha while we were away for a few days! Lily has separation anxiety and can never be left on her own so to find carers who can give her 24 hour care and know Claire loves her and cares for her as we do is a huge relief! Claire sent us regular texts and photographs of Lily out on her walks and sleeping contentedly in her bed. We could see from the smile on Lily’s face in the photos just how happy she was! Thank you so much to Claire and Alysha for your star quality care of Lily and helping us to enjoy our trip and to Linda at PetStay for attention to detail and superb organisation. 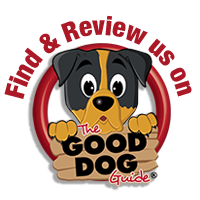 Highly recommend – we will be using PetStay again! We cannot praise our carer, Claire, enough ! She sent us texts and pics showing how our dog had settled and looked after her so well. She followed our care plan to the letter and she and her daughter built up an excellent relationship with our dog. Already booked for another holiday ! Highly recommend this service. Highly recommend PetStay lovely people who take care of your pet while you are away. Milo my Akita loved the home and people he stayed with who sent regular updates as to how he was keeping very glad to have found this service. We just wanted you to know that we collected Upton from Claire yesterday. We are again thrilled that she has taken so much care of him whilst we were away. She kept us updated with emails and photo’s which was very reassuring for us. We are so lucky to have found you, and subsequently been directed towards Claire. We will be settled at home for a while, but when we get itchy feet again we will check if Claire is free and book through yourself, if that is okay with you? Seeing the carer to get a feel for where Arlo would be staying was a great idea, I was instantly put at ease that she would be happy here and the carer (Kerrie) was very dog friendly. Linda at PetStay was very knowledgable and matched the perfect carer with my dog. She is also very contactable and makes things easy – I would not hesitate to use PetStay again. Arlo came back very happy and relaxed – Thank you so much. Just to let you know Holly and Alfie had a lovely time staying with Julie and John. She said they settled very quick and when we went to pick them up they seemed to have made themselves at home. My 2 year old male Shiba Inu dog can become unsettled when we go away on holiday. But he settled in straight away with Sheila his pet stay carer. Probably too well, finding his own spot on her sofa…From our initial contact with Linda my concerns and worries were put aside. They take the time to get to know you and your dog, their needs, likes and dislikes. I feel totally comfortable leaving Hoshi with Sheila and he is already booked in for his next visit. After having a bad experience at a kennel we decided to find some one who would look after Og in their own home as Og suffers with anxiety. I contacted Linda at pet stay who had a very lengthy conversation over the phone with me and put me in touch with a lovely lady called Yvonne. Og and I met Yvonne at her home and we booked for Og to stay. After returning home I collected Og and all I could say was wow. I knew straight away that Og had had a fantastic time with Yvonne and looked very happy. Thank you Linda at pet stay and Thank you Yvonne. We will be recommending and a returning customer. Thank you Claire so very much for taking such wonderful care of my beautiful Bonnie whilst we were away on holiday. This is the 1st time I have left Bonnie with anyone other than family & I have to be honest I was a little worried but I needn’t have been.. Claire was great from the word go with regular ‘pupdates’ & photographs so we could see Bonnie was having a fantastic time, totally relaxed & being well take care of…!! I’ll definitely be using PetStay again in the very near future. Thanks againx. This was Roxy’s first stay with PetStay, communication were good and quick as it was quite a short notice booking. The carer was very nice and Roxy enjoyed her time with the carer and her pug George. We will definitely use again. Thank you so much for looking after Suzy during our wedding. Claire was absolutely lovely and nothing was a problem. I would highly recommend pet stay and will definitely use the company again. Don’t ever consider kennels- book pet stay you will not be disappointed and the peace of mind is priceless. Gus has had a fantastic stay with Jane while our family went away for a long weekend. Both Jane and her husband really welcomed Gus into their home. We were worried as it was the first time we had left Gus and also worried as he has an excitable nature. Jane’s experience with dogs absolutely shone through and we wouldn’t hesitate to leave him with this lovely family again. Thank you both. I was looking for a place for our boys to stay whilst we were on holiday in June when I came across Petstay North Tyneside. I gave Linda a ring and she asked me a few questions about the boys nature and general day to day routines they have and she placed us with Julie and John Dunn. We visited Julie and John just before the holiday so they could meet Chester and Chico and ask any questions about their care. They were a lovely couple, very approachable and absolutely loved the boys when they met them, so we felt totally at ease that they would be well looked after, with lots of cuddles in a home from home environment, whilst we were on holiday. Julie kept us informed during their stay with updates and photos which was nice and very reassuring. When we picked them up they were totally at ease and it was as if they hadn’t missed us at all!! We have already booked Julie and John for our holiday in August and I’m sure Chester and Chico will be looking forward to seeing them both again! I would highly recommend Petstay to anyone who needs their beloved pooches looked after as the care and attention given by both Linda and her carers is second to none! Thank you Petstay I will definitely be using you for future holidays! Linda placed Gyp with Julie and John, who were absolutely perfect. Our Gyp is a mature lady and she was given the care and love she receives at home. It was so reassuring to know that gyp was being looked after extremely well. We intend to use Linda`s service again and hope Julie and John are available. Thank you very much. Nina is a 6 year old Dalmatian who went to stay with Gail for two days and had a wonderful time. Nina got lots of love, cuddles and walks and wouldn’t hesitate using Pet Stay again. Highly recommend. Home from home ….. Our very much loved Millie and Dougal went to stay with Jane for just a week, whilst we went on a holiday that sadly the dogs couldn’t come on! The service from booking in was very thorough and professional and filled us with confidence a lovely person would be identified to look after them. Jane was very friendly and welcoming and on the introduction Jane …made the dogs very welcome and put me at ease straight away. Both dogs appeared to settle really well and Jane welcomed their little unique personalities and oddities! Molly is a 7 month old Cockapoo puppy, full of energy and excitement and a little bit devilment! I was nervous about leaving her whilst I went on a family holiday as I had previously used a kennel for two nights and she came home nervous and smelly. However from the moment I entered Gail’s home I felt totally at ease. I was very conscious that I needed a host that would be able to have the time to give Molly lots of attention and play time. Molly needs lots of walks and being out in the open as much as possible. Gail gave me great confidence that she is more than equipped to look after a puppy. Molly was immediately very comfortable in Gail’s home. Receiving lots of attention and love. On collection it was obvious that Molly had been very well taken care of and had enjoyed her stay. Gail was amazing and I will 100% use Pets stay again with total confidence. The service gave me total piece of mind that Molly was in great hands and I can now enjoy family holidays with no concerns. I also think that the service is great value. I would absolutely recommend Pet Stay to anyone looking for a great experience for their pet. We knew kennels would not be right for our much loved Frug, Django; he is so active and adores attention. thank goodness we found Petstay! Linda was so professional and easy to deal with, and Jane, whom she selected to care for our dog was wonderful. Her calm, gentle but firm manner and obvious love of dogs, along with excellent experience at our filled us with confidence – and relief at our initial meeting. We could enjoy our holiday with no worries about Django, and when we collected him it was clear that the standard of care had been superb. We would recommend Petstay without reservation in the knowledge that Django will enjoy his break from us, in a caring and professional home from home. To find out more or to arrange a visit to one of our carers in the Newcastle upon Tyne, North Tyneside & Northumberland area, please get in touch using the details below. PetStay Newcastle, North Tyneside & South Northumberland office address is 13 Alma Place, North Shields, NE29 0LZ. For the purposes of data protection PetStay is a data controller (ZA219074). You can verify the details you have submitted to PetStay by contacting us by email lindabarnes@petstay.net or by post at PetStay, 13 Alma Place, North Shields, NE29 0LZ. Alternatively, you can telephone us on 0191 4862191. You can always feel free to update us on your details at any point by sending an email to lindabarnes@petstay.net. You can request a readable copy of the personal data we hold on you at any time. To do this, please contact us via email lindabarnes@petstay.net.